Micropest installs and supply's ventilation fans, electric fans, subfloor ventilation fans and extraction fans for effective ventilation systems in Sydney N.S.W Australia. All houses and buildings need to breath like a set of lungs and if properly ventilated with passive air vents when they are built the subfloor and interior of the house should be dry and smell fresh. 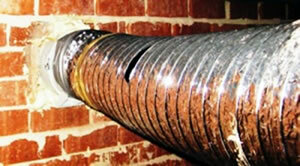 But over the last twenty years house holders of Sydney have being extending their houses ,this disturbs the air flow of the house causing damp pockets of the air to rise and one of the main reasons for mold, mildew ,termites ,cockroaches ,borers ,and damp smells in the house. Building up over air vents with landscaping and concrete slabs for the new extension are common place. When passive air vents cannot rectify the ventilation problem its is strongly recommended to use a combination of electric subfloor ventilation fans and extraction fans. To accurately quote on a electric subfloor ventilation system it is imperative first to carry out a through inspection of the subfloor of the house .Which also includes a termite and pest inspection .Not only does this accurately provide us the information required to quote you on an electric fan subfloor ventilation system quite often more than not ventilation is not required ,it could be as simple as fixing a leaking pipe or clearing a drain ,uncovering some vents. Myself being in the pest inspection industry for over twenty years I've continuously seen people misinformed and deceived when it comes to electric fans and subfloor ventilation systems namely because a thorough inspection had not being carried out .No need to spend obscene amounts of money on electric extraction fans if it is as simple as unblocking some passive air vents. For any further information about the installation and supply of subfloor ventilation fans or ventilation systems please do not hesitate to contact Gerard, on: 1300 243 377 or likewise e-mail us on pest@micropest.com. 200mm Vortice Italian made Fan. 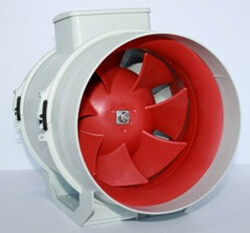 The Q series is a quiet running fan that has become very popular for sub-floor ventilation problems. They have two speeds and the ratings on both are below. They have an IP rating of 45, Thermal cut out at 60 degrees c and self exintinguishing plastic. Standard 12 month warranty, and are rated at 40,000 hours continous running. Power consumption is approximately $70.00 per year when a timer is attached and is left running for eight hours per day. The ducted ventilation fan is installed by removing two bricks and fitting the fan into that space then to secure it and stop it from vibrating expandable foam is used to secure it .A twelve mm hole is drilled up through the floor boards in which the power cord is passed through and then plugged into a power point with a timer.